How might we engage different people for a common cause? Each of us has the tools we need to make a difference. Imagine what happens when several people get together and multiply this force? What if these various people were scattered around the world, acting as a great magnifying glass to potentiate these actions? This is the main objective of the Global Goals Jam. To connect people around the planet in a single purpose: to identify opportunities to make planet Earth, a better place to live. Everything started on February 2016, when I had the chance to take part on a course called Scream! In Rio de Janeiro, Brazil. Although I had already some experience on Design Thinking methodology, the course, developed by MediaLabAmsterdam and lead by Marco van Hout and Gijs Gootjes, opened my mind. How can achieve our results in a faster and assertive way? 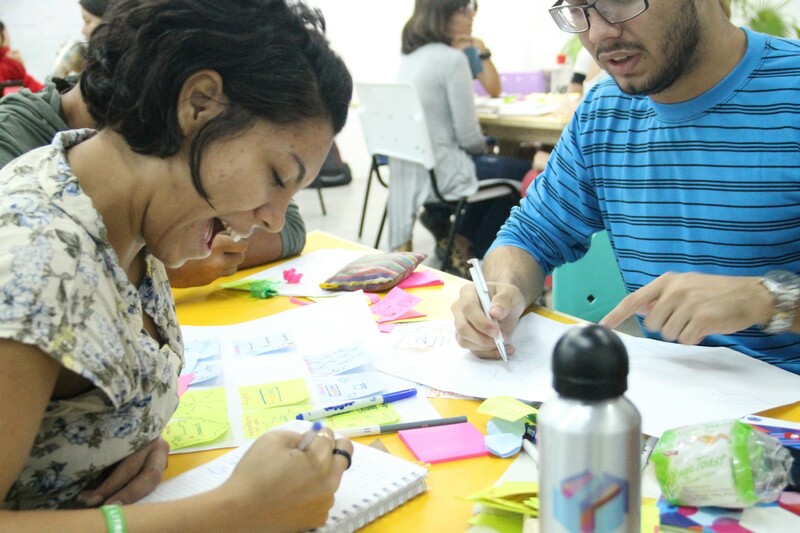 Linking the pillars of Design Thinking with the agile mindset of Scrum, plus selecting the right tools (which were all free and easy to access through the internet) seemed to be the right answer. Indeed, it was. 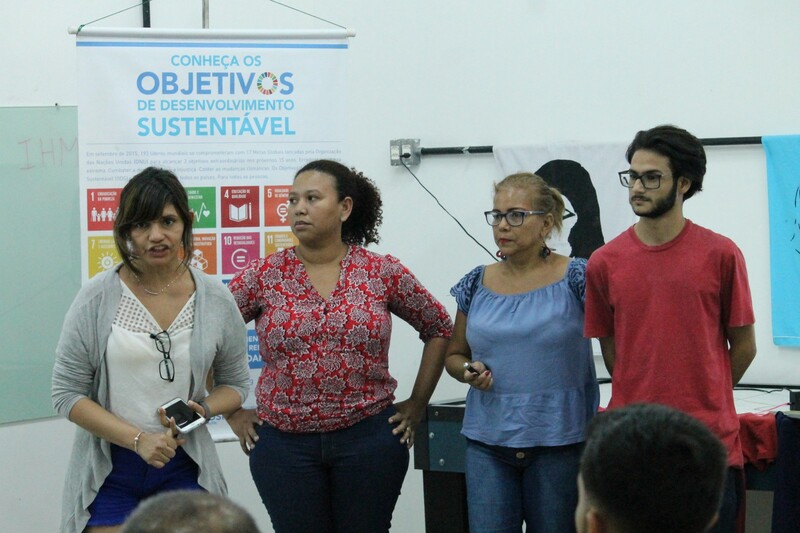 A few years later, I had moved from Rio to Manaus and, in March 2018, a friend sends a message: why don’t you take this event to the Amazon? Well, I though, why not? 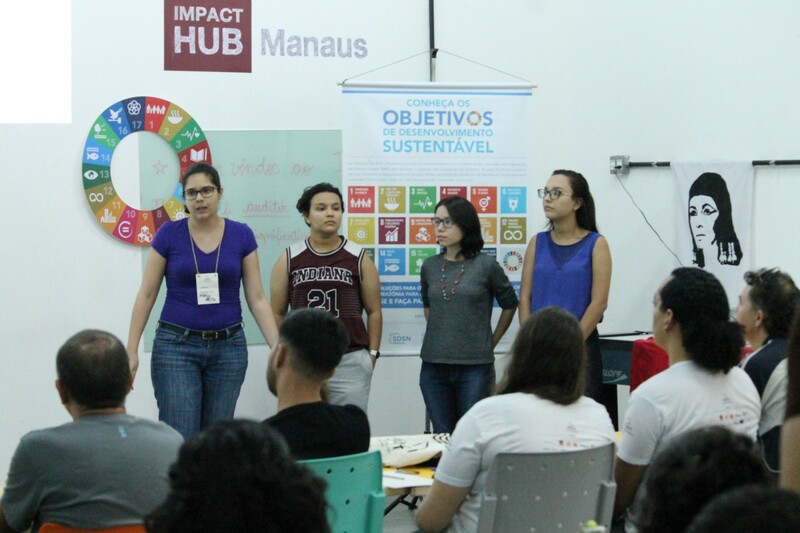 That’s how the #GGJMANAUS story started, from a simple “call to action invitation” made through our social media network. What it was needed? Someone to lead the process and a space to receive the event. I decided to take the risk, although not having that much experience on running this type of event, and applying as local leader. I confess I though the role was a bit simpler, after all, I’ve been teaching and facilitating process like these for years. I was correct up to some level. 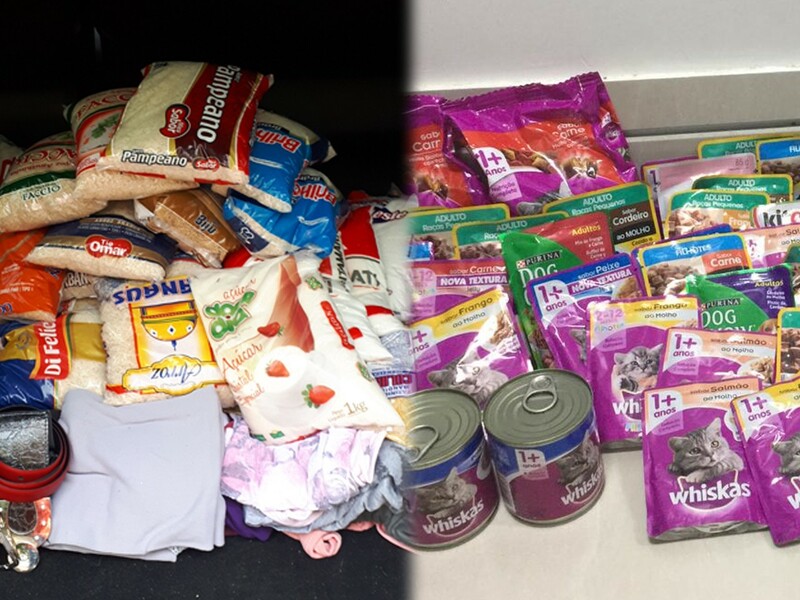 My experience did help me (a lot!) on running this event, but I realized I had so much more to learn from everyone that got involved, later on. Lesson learned: if you are passionate, you can do it. So, just get up from your chair and make things happen. Ok. We had the first two ingredients, but for this recipe to end up being a very tasty and flavored Amazon dish, we needed much more. We needed support. We needed people that believed in the cause we were raising. We needed a collaborative network that, together, but each on your own area of expertise, would be able to make this event a reality. 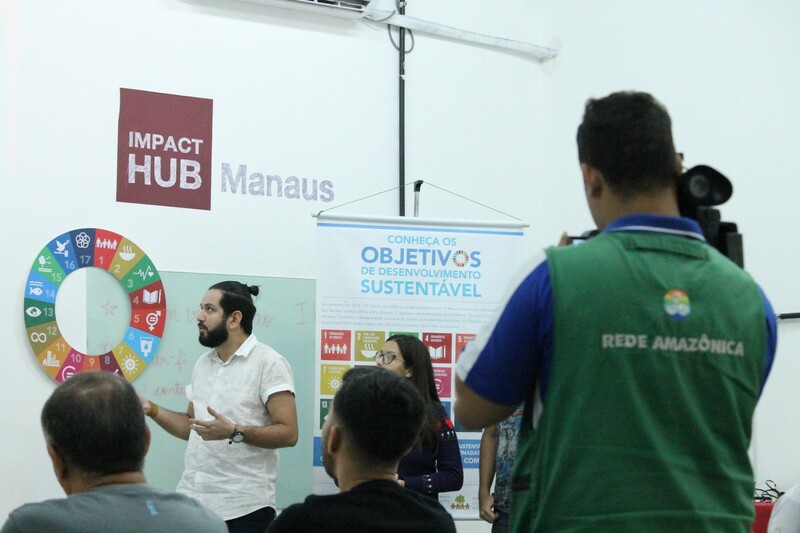 After we received the green light saying that Manaus was in, it was time to engage friends, friends of a friends and business. 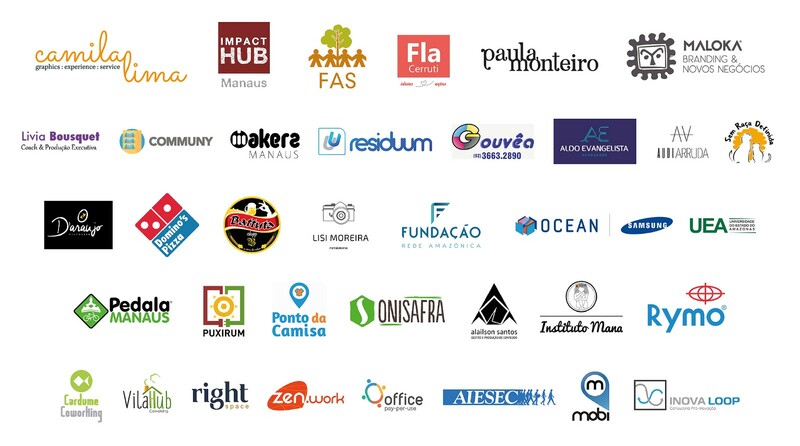 People and brands that were connected with the 2030 Agenda. 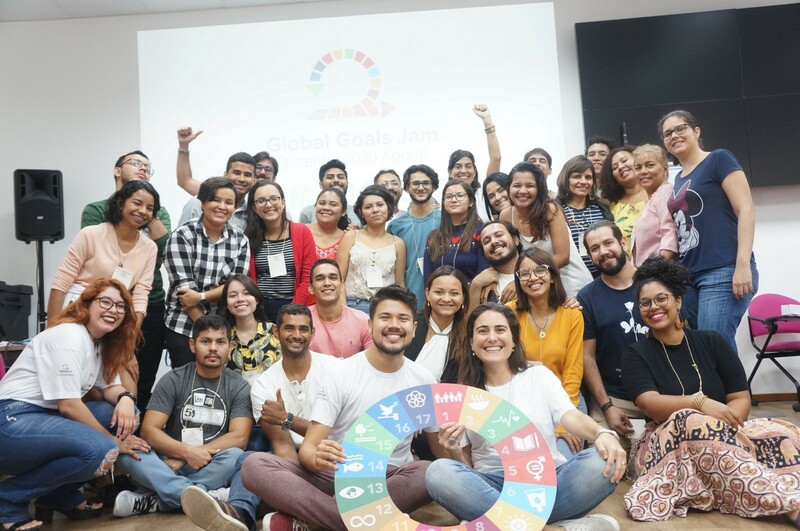 Who were seeking for opportunities to amplify the importance of the SDGs (Sustainable Development Goals) and involve the society on reaching each of these goals. 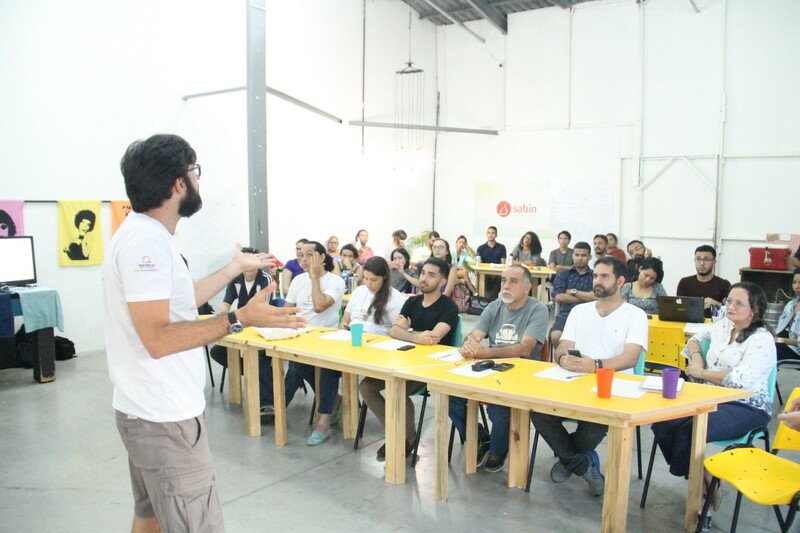 It took us a few months of various meetings, alignments, workshops, presentations, so we ended up with 35 partners and more than 90 people directly impacted who believed in the project and decided to embark on this journey. But we needed to engage the audience too: the participants. With a bit more than a month of open and free registration, we had over a hundred people had registered to attend the event. What does that meant? 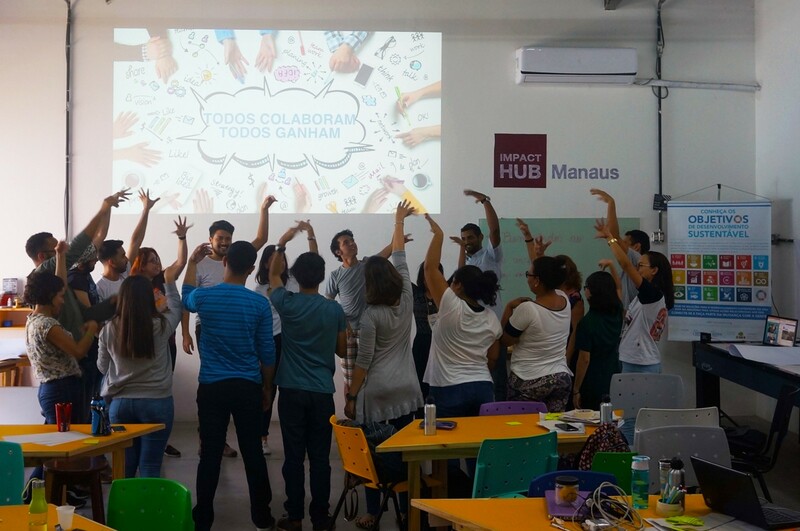 It means that there are so many incredible people in this city willing to act in order to turn Manaus into a better place to live. From 128 registrations, to be more precise, 30 participants were selected to attend the event. Although we were excited to bring everyone together, we had to do it in a very conscious way, to make sure we would offer a high-quality event. Moreover, that we would be able to really get to know each participant, focusing on also providing a high quality material and mentoring. 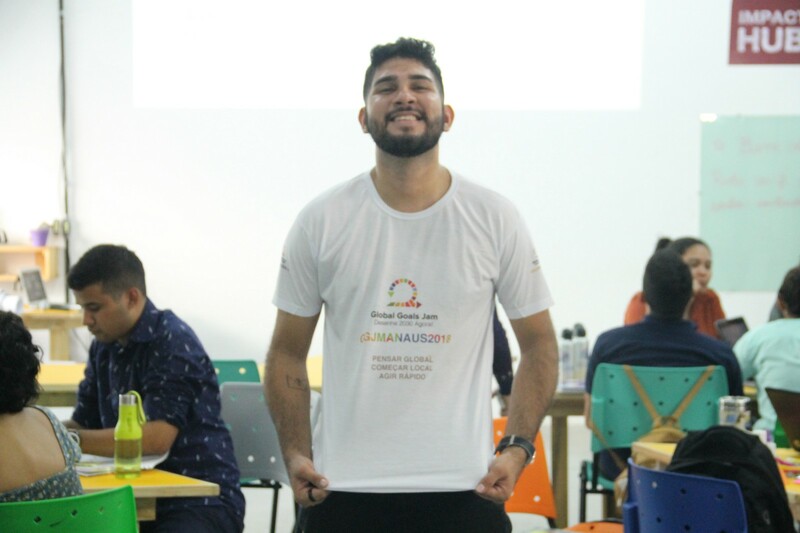 After setting a core team, that would be responsible for defining all procedures to take #GGJMANAUS from paper to reality, we started questioning ourselves how could we make this event a “big thing” within the ecosystem in this city. 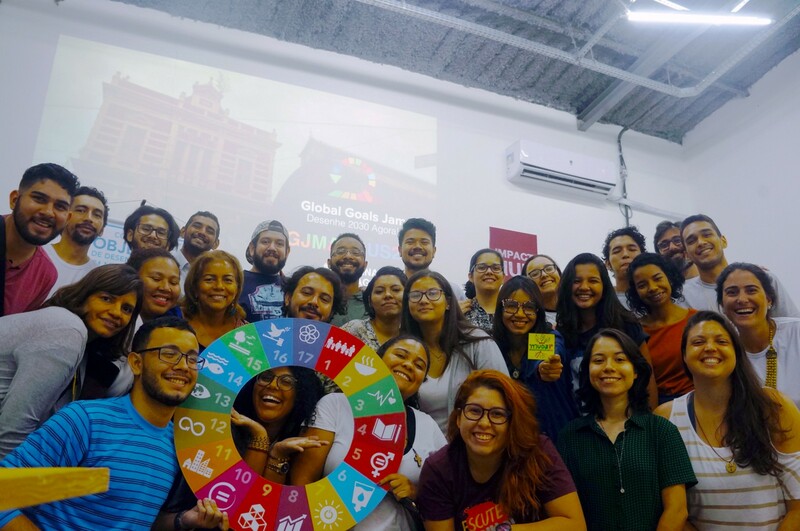 Despite the uniqueness of working with SDGs and having an international team on our back, we strongly believed that our differentiation was related to people. 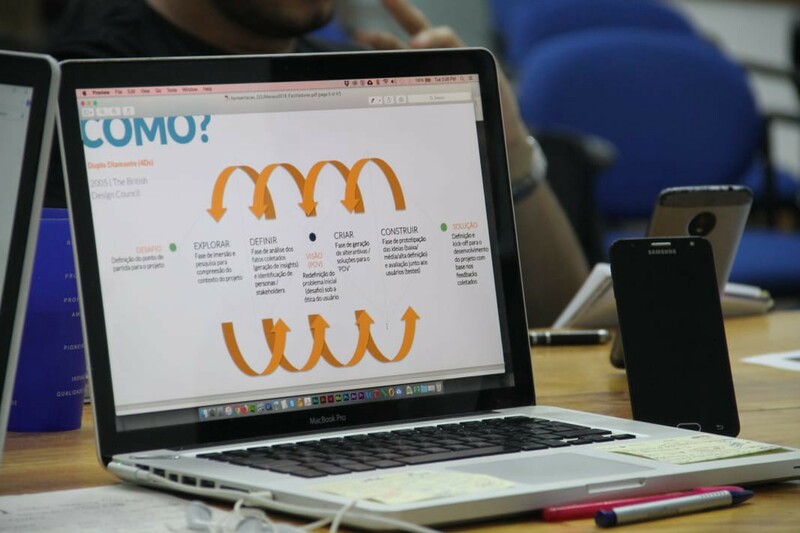 By connecting different profiles and background, and also to empower them through the methodology and tools, so they could realize they are the real changing agents. 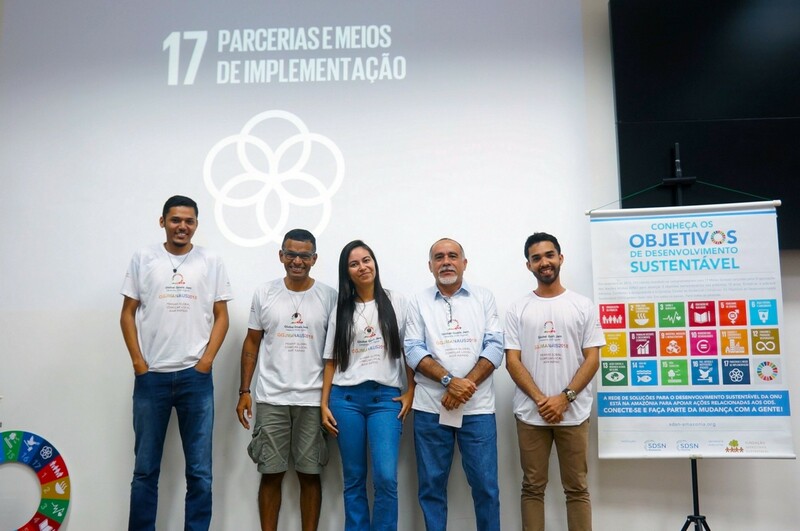 The official opening of the event was held on September 14th, at Samsung Ocean Manaus (and thanks to their incredible team! 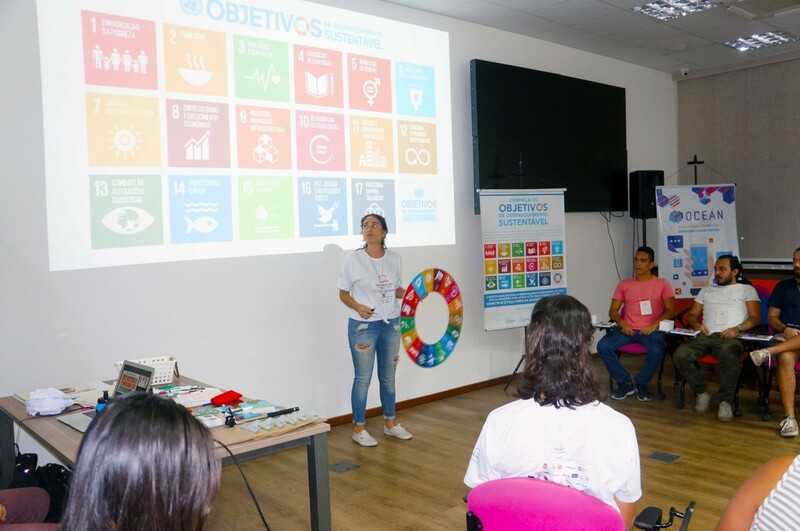 ), and started by having some presentation dynamics among the participants, run by our incredible facilitators, Flavia Cerruti, Cleber Santos and Rafaella Chíxaro, for them to know each other, but most important, for them to evaluate their purpose in life. 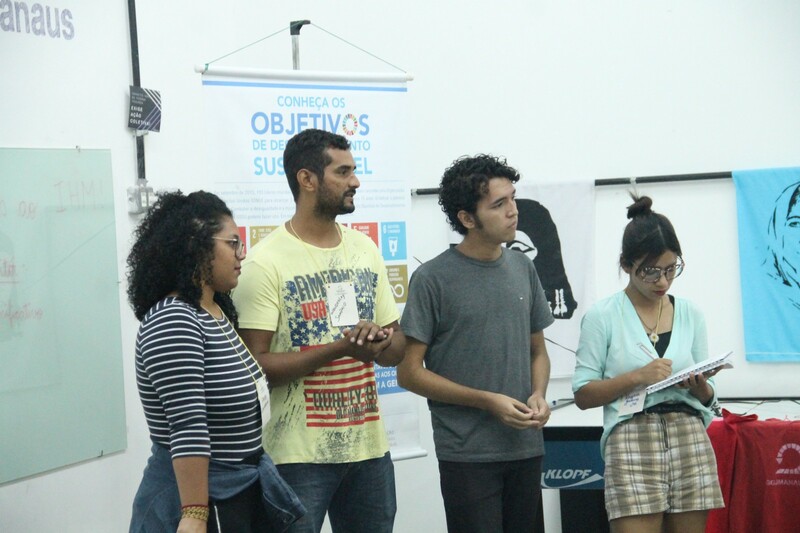 They had to think what was the reason that brought them to GGJ Manaus, as well as what are their expectations of the event. 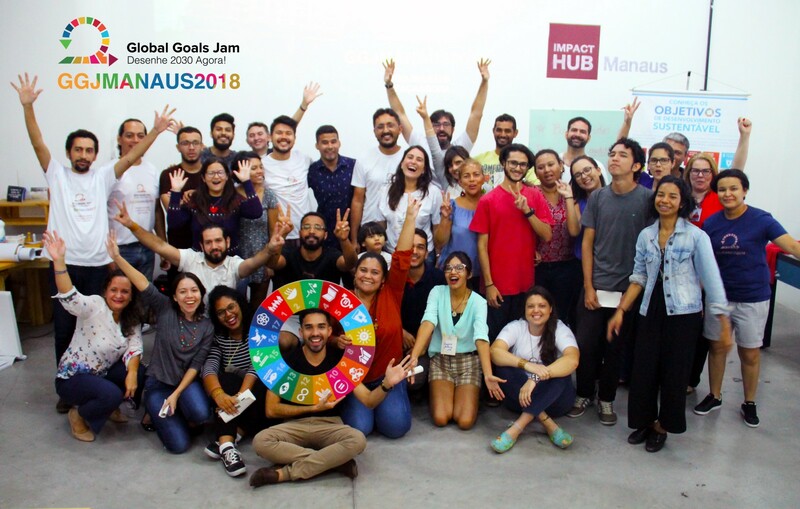 Afterwards we move to an space of inspirational presentations of five mentors — Macaulay Souza + Onisafra (SGD#1), Paulo Aguiar + Pedala Manaus (SDG#3), Nayana Góes + Instituto Mana (SDG#5), Haroldo Nunes + Puxirum (SDG#&) and Maurílio Correia + Residuum (SDG#11) — who shared their experiences about each of the five selected SDGs for this year. 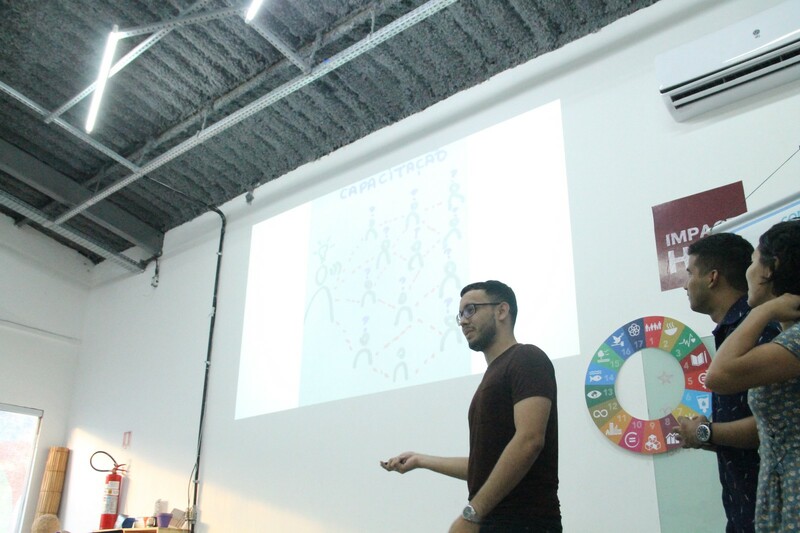 The final moment of the agenda was focused on defining the challenges, presented by our facilitator Gabriel Oliveira. Based on an organic segmentation, the groups were formed. 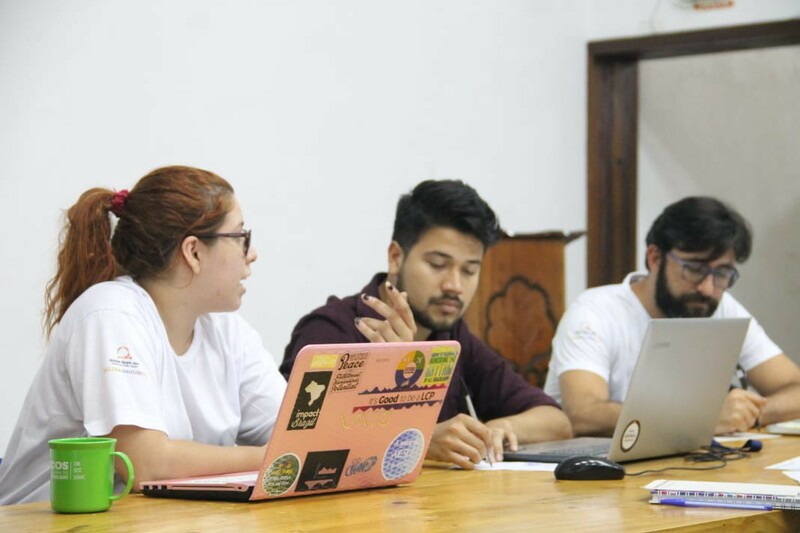 The final part was dedicated to present them a few tools and techniques that would be useful along their field research that should be conducted by the groups within the upcoming days. Their first sprint was outdoors, by living the reality behind their challenges. 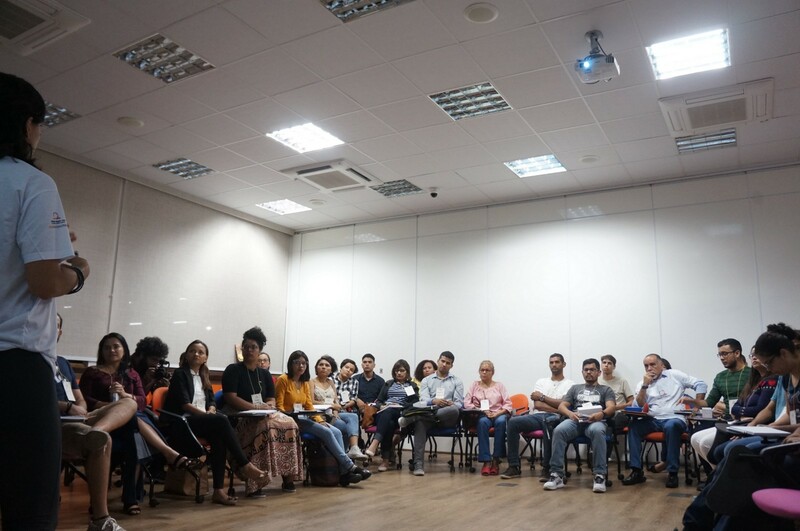 The second meet up was held on September 18th, at Fundação Amazonas Sustentável, in which the goal was to evaluate each group’s evolution, as well as to orient and guide them through the last days of field research. 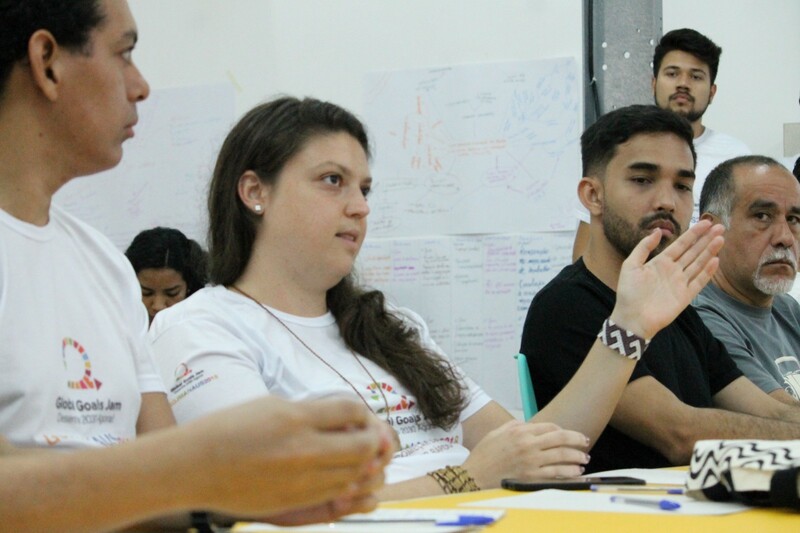 At the same time the facilitators and mentors reinforce the importance of having a qualitative material, by engaging with real people in real scenarios, they were also encouraging the groups to start thinking on how to solve the related issues. 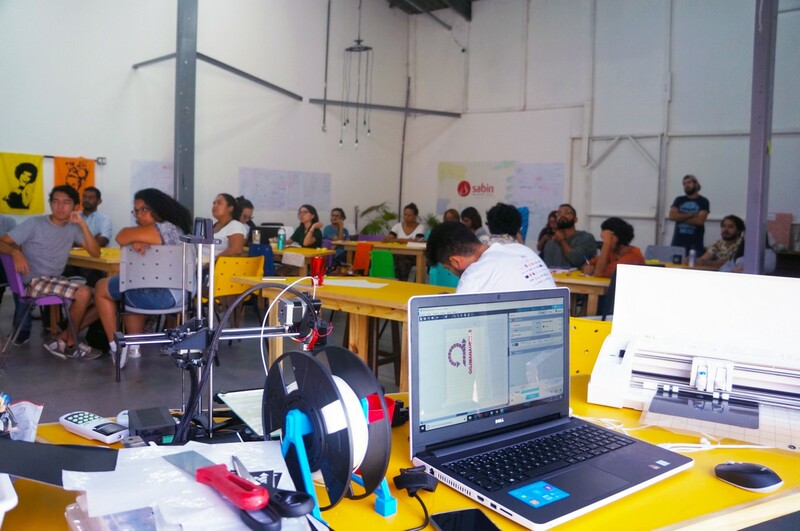 Both third and fourth days were held at Impact Hub Manaus, as they had to have a proper space to work with all material gathered along the research phase. 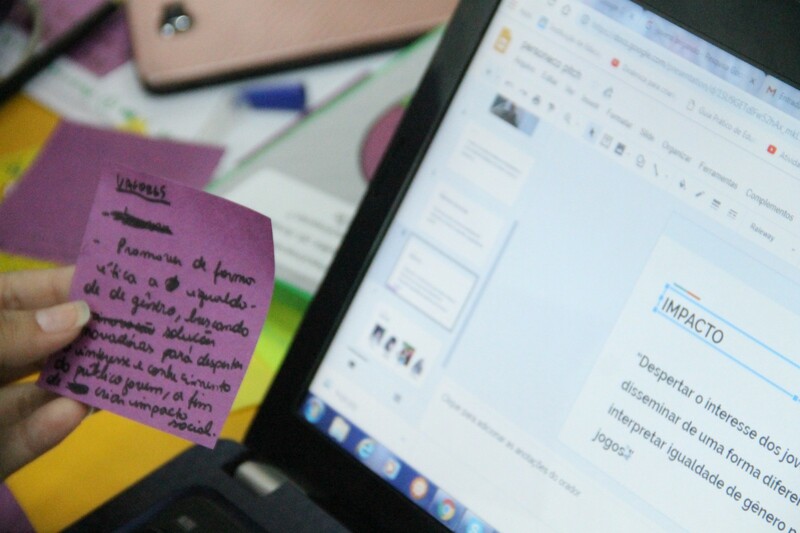 On September 21st, the groups started by creating a mind map, so that everyone could transcript their findings and insights. 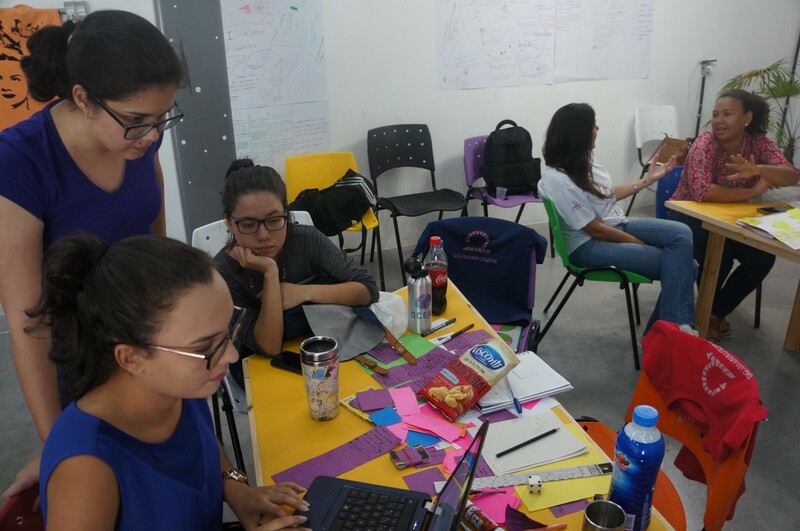 Before they run into an ideation sprint, they were presented to the “Theory of Change” tool that would help them to identify their major goals and to start thinking on the paths to achieve it. 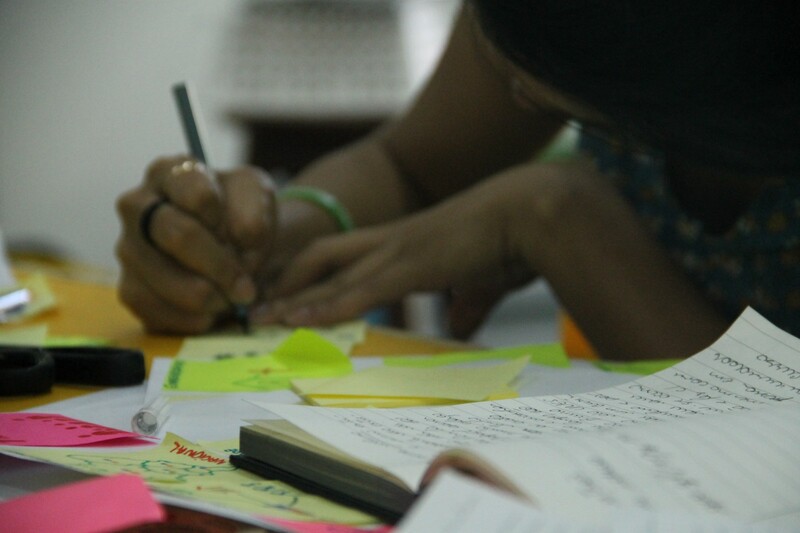 From quantity to quality, each group evaluated and selected the most impactful and viable ideas. 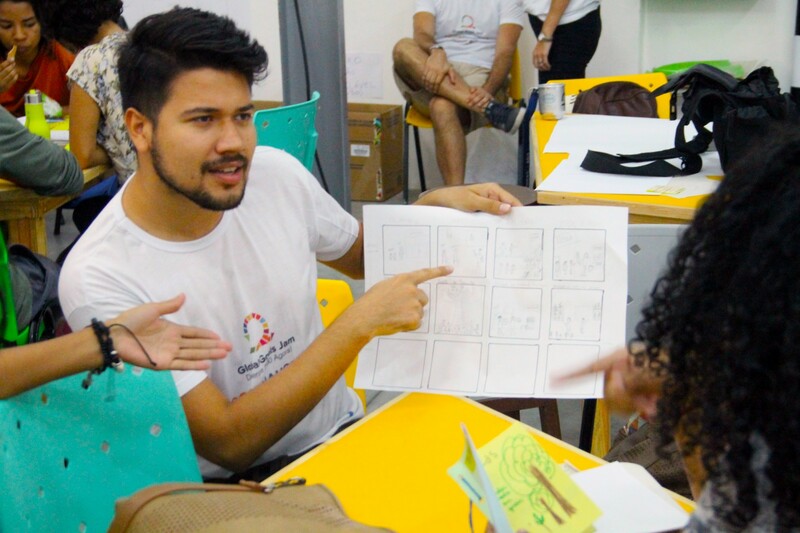 Then, they were presented to the “world of prototyping”, by having a small-but-functional lab at their disposal, from several types of materials, provided by our partner Rymo, to a high-end equipment of Makers Manaus team, mentored by Carlos Junio, one of owners of this startup. The end of the day was dedicated for a feedback section and orientation for user testing analysis, to be conducted by the teams outside the boundaries of that room, all helped by our facilitators, already presented here, and part of our mentors team, with Paulo Diógenes, Maurílio Correia and Paula Gabriel. 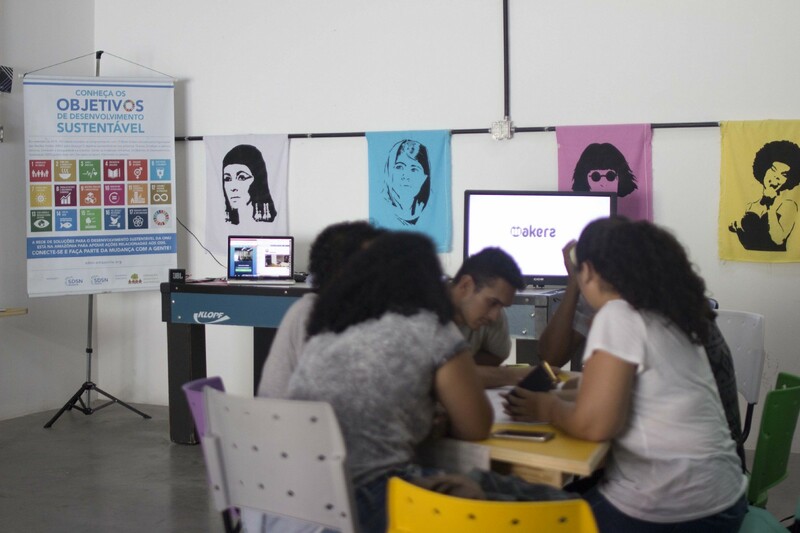 The last day happened on September 22nd, among other cities that also engaged with us through appear.in, like Aguascalientes, Lima, Rio de Janeiro and Kigali. 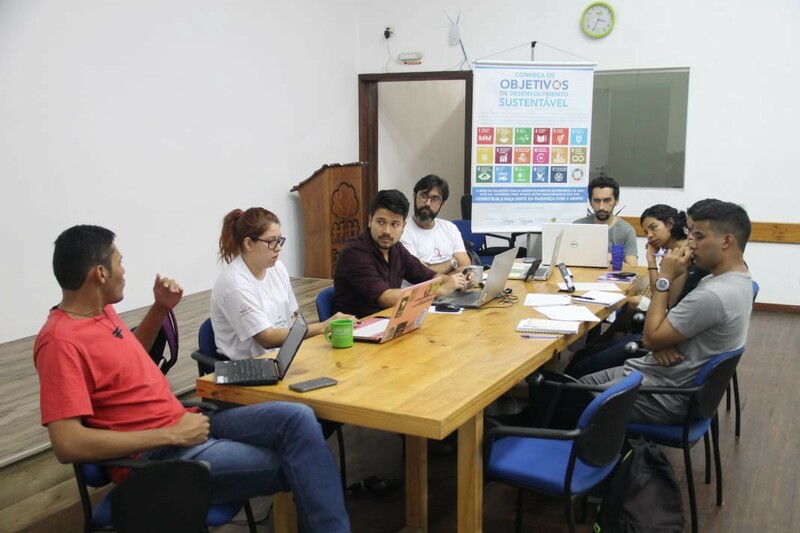 The groups came back with some feedbacks and had another “mentoring space” to iterate and adjust their projects through the orientation from all facilitators and mentors, now having among us Aldo Evangelista, João Gabriel and Ismael Vidal to help us. Everyone was determinate to have the groups to thrive with their projects. 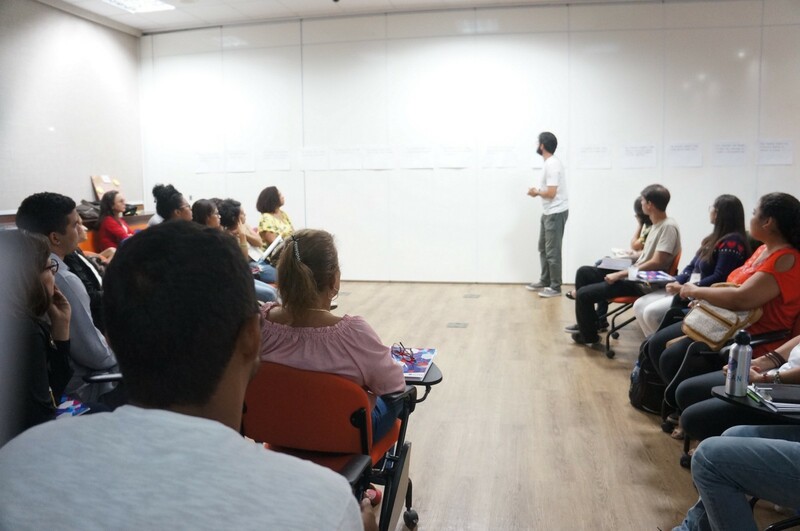 They had the chance to, briefly, know how to develop an impact business canvas and then we moved to the final moment of the agenda: how they would present their stories? After some tips and tricks of how to develop a pitch, they get back in action. 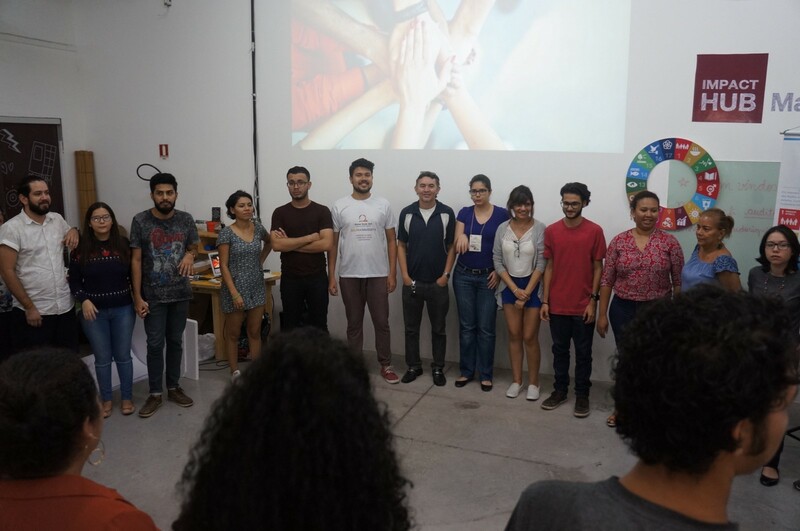 After finalizing their prototypes and prepare their presentations, they were presented to a group of special guests, that were invited to watch them and to give real feedbacks: Nayana Góes, Paula Gabriel, Aldo Evangelista and Haroldo Nunes (as mentors), Fabíola Bazi, Alexandre Benrroch and Evandro Santiago (as partners from Fundação Rede Amazônica) and Mickela Souza (as partner from FAS). All focusing on encouraging the team to move forward with their ideas and make them happen! The day ended up with a emotive wrap-up, and with a great celebration with Dominos’ Pizza and a local and artisanal crafts beer, Battuta. It was that easy, then? Our team had our first debriefing meeting, and by using “I wish, I like, I wonder” dynamic, I can say we had several learning from this entire process. Some, individually, as we all had to surpass some obstacle to turn this project a reality. How to run an international event? How to handle so many stakeholders? How to get partners? How to manage a project through volunteer work? How to balance between personal and professional lives, in parallel to the event? How to deal with unexpected changes (good or bad)? 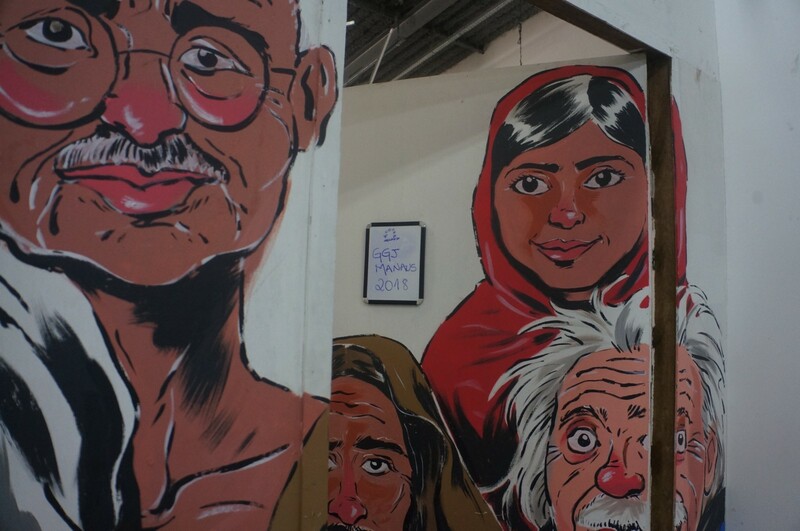 How to run a “waste-free” event in a wastage culture? How to react in a productive and solution-driven way to all issues? How to keep the stakeholders engaged before, during and after the event? How to achieve everyone’s expectation? Well, some of those questions I believe we are able to answer. At least, when it comes to running a Global Goals Jam event. But I have to highlight two of the most important things we have learned: this event was only possible because of people: the team behind the scenes, the partners, and the ones siting in the audience, the participants. Without either of them, GGJ Manaus wouldn’t happen. And we have learned a lot from each others’ experience and background. Many thanks to everyone that had helped us along this journey, including the ones that were extremely important on our pre-event - Gráfica Gouvea, Paula Monteiro, Livia Busquet, Cesar Alcon and our backstage team from comms, Audiane Arruda, Lisiane Moreira, Daniel Araújo, Alaílson Santos and Eva Rodrigues — and the extra hand, like the coworking spaces in Manaus that open their doors to our participants and Mobi, our official transportation app. The second thing is that each of us has the power to change the world. Not alone, of course, as I have mentioned before. But it was clear to me, and to several people I’ve talked afterwards, that the only thing needed is to act: to get up and do it. Sometimes it is hard to move forward, as there are (and there will always be) lots of barriers and obstacles, which try to bring you down. But with the inner power you have, if it is driven by a purpose that you really believes in, you can “simply” overcome this, so you can look back and tell yourself and to the world (why not? ): I did my best and I did it. However the “last” day of the event has passed, most of people impacted by this event strongly believe this was not the end. Some partners have already risen their willing to keep supporting the upcoming editions. The participants are crazy about diving into all references and material they got to know for the first time. But most exciting of all: the projects have, indeed, a real potential to be implemented. How? Through the participants and mentors’ desire to make this happen. I really hope that, in an year from now, we can see not only projects coming to life, but new entrepreneurs and professionals using their power to make the difference. Well, this could be another chapter of this book. Let this event to be just the first of many.